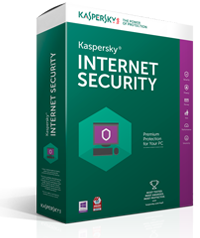 Kaspersky Lab personal products do not upgrade automatically when a new version is released. Select your current product below and follow the steps to upgrade it. Please Note: KIS & KAV 2016 are compatible with Windows 8 and Windows 8.1 update. You can use your current activation code (key file) with KIS 2016. The remaining time on your license period will be carried over. Now go to Step 2. You can purchase a KIS 2016 license at a discount when you renew your license online. Then go to Step 2. Once you have a valid license, you are now ready to download the KIS 2016 executable (.exe) file. Activate your new version if your software was not automatically activated after you uninstalled your old version. For detailed instructions or troubleshooting tips, please see the user forum. You can use your current activation code (key file) with KAV 2016. The remaining time on your license period will be carried over. To upgrade to KIS 2016, upgrade your license online at a discount. Now go to Step 2. You can purchase a KAV 2016 license at a discount when you renew your license online. You can also purchase a KIS 2016 license if you want to upgrade to a more comprehensive solution. Then go to Step 2. Once you have a valid license, you are now ready to download the KAV 2016 executable (.exe) file. Note: it is not necessary to uninstall KAV before installing KIS. It can be installed 'on top' of KAV.